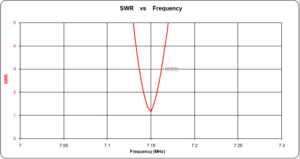 The assumed values and published VSWR curve indicate an antenna system half power bandwidth of 22.0kHz and Q of 324 which implies efficiency of 0.95% (-20.2dB). The estimated efficiency is considerably lower than Chameleon’s specified 5.67%, but they offer no justification for that value. 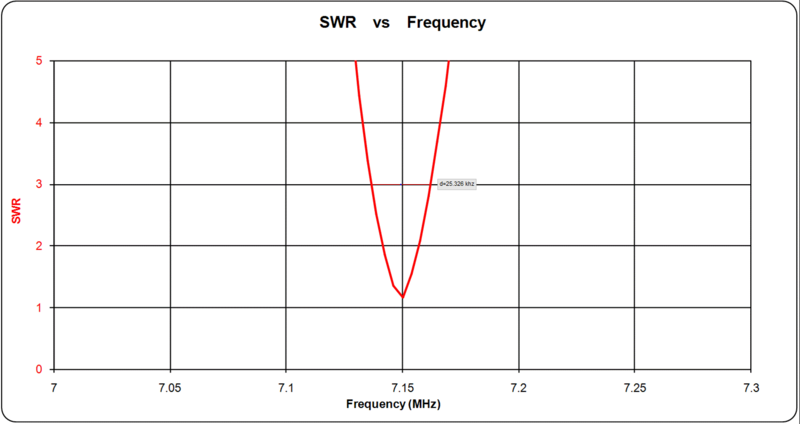 The VSWR=3 bandwidth scaled from the graph is 25.3kHz. 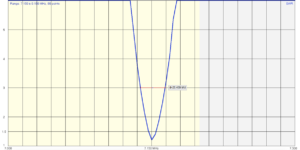 The shape of the curve near minimum suggests that were the scan points sufficiently close, the minimum VSWR would be very close to 1.0 and it is taken as 1.0. 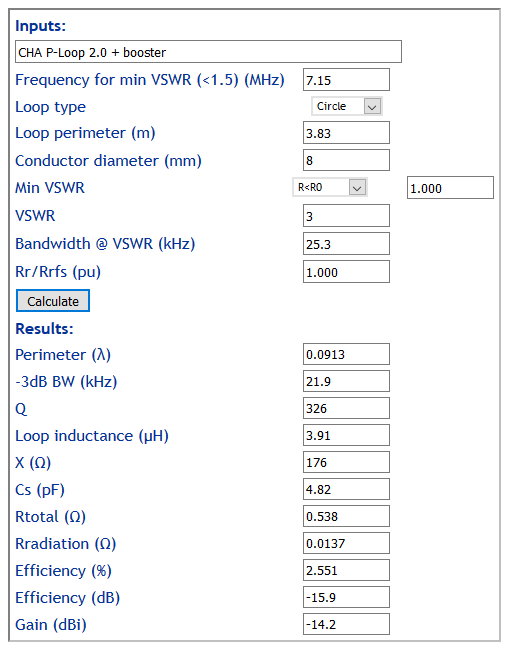 The assumed values and published VSWR curve indicate an antenna system half power bandwidth of 21.9kHz and Q of 326 which implies efficiency of 2.55% (-15.9dB). The estimated efficiency is considerably lower than Chameleon’s specified 14.4%, but they offer no justification for that value. The booster kit increases diameter by 48/34=1.41 times, and for a STL, that implies an increase in Rr of dia^4=4 times. If all other losses were constant, for such a loop an increase in Rr by a factor or 4 would increase efficiency by close to the same amount. But, some losses will increase significantly for the larger loop, and it seems unlikely that efficiency would increase by quite 4 times. The calculator suggests the likely efficiency improvement was around 2.7 times which is credible. 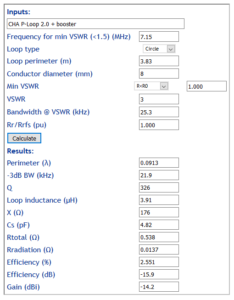 The comparison shows how sensitive efficiency is to diameter when the loop perimeter is less than λ/10. 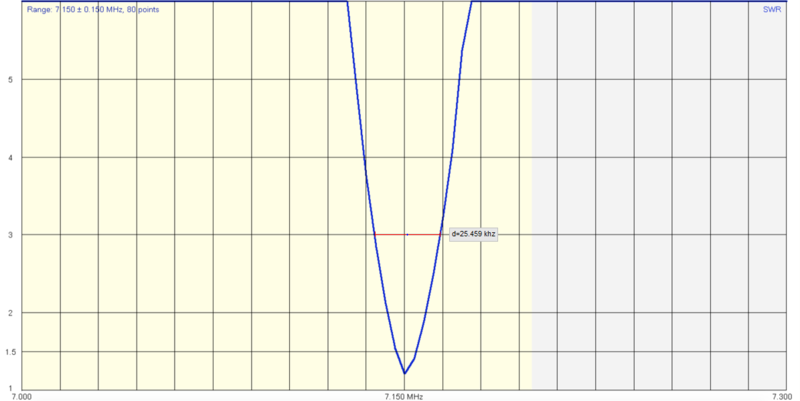 At some point though there is a trade-off between size and performance, and indeed the 48″ loop on 7MHz only just qualifies as a STL where the conventional formula for Rr is sufficiently accurate for most purposes (perimeter is less than λ/10). 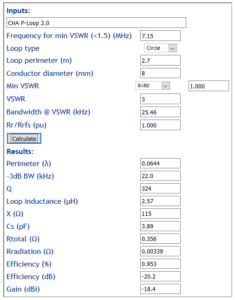 Chameleon gives sufficient information on their ‘basic’ CHA-P-Loop 2.0 to allow a reasonable estimate of its efficiency on 40m to be 0.95% (-20.2dB) +/-3dB. Chameleon gives sufficient information on their CHA-P-Loop 2.0 with 48″ booster kit to allow a reasonable estimate of its efficiency on 40m to be 2.55% (-15.9dB) +/-3dB. Chameleon. nd. 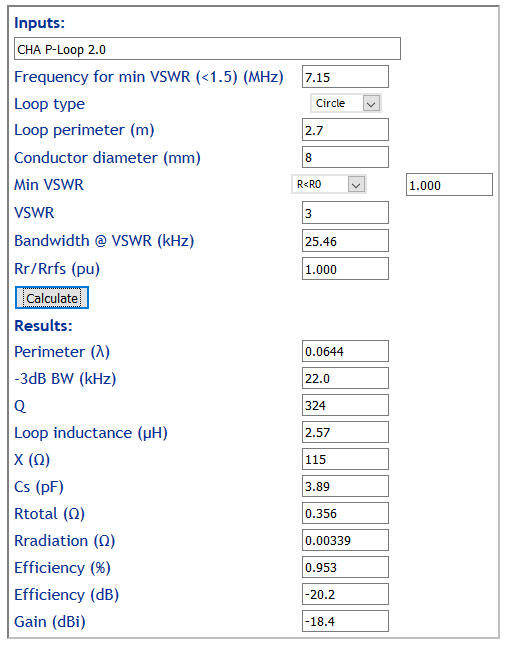 CHA P-LOOP 2,0. http://chameleonantenna.com/resources/CHA_M-LOOP_SWR_ANALYSIS.pdf (accessed 16/04/2017).